Picking a top-of-the-line website builder can be a challenge. Since, there are so many to choose from, it can be difficult to distinguish the good ones from those not quite so good. Affordability and ease is important, but not enough. Selecting a tool or platform that underlines simple and flexible content management should be a priority. Look for a platform that offers a wealth of widget choices. The functionalities they provide will make you a more proficient and productive designer. Today’s websites integrate with social media, since that is where much of the action is on building brand recognition. SnapPages has been redesigned from the ground up. The latest release makes it faster and easier than ever to create up-to-date, responsive websites. 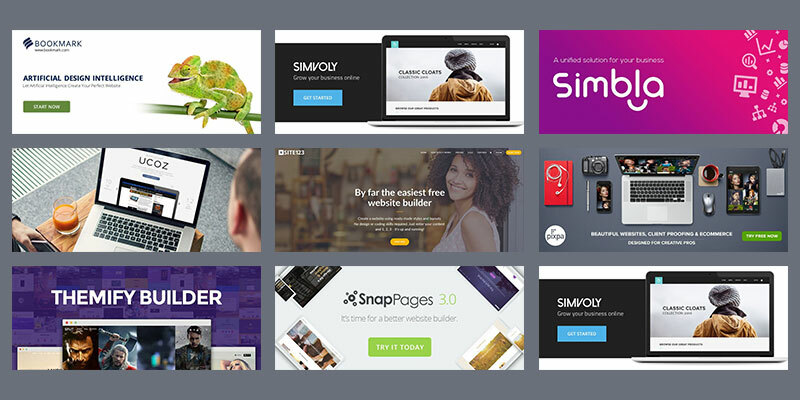 SnapPages’ powerful drag and drop tools make it easy for anyone to build a website. Its professionally-created website template designs are easy to customize. And, the SnapPage team makes managing your website a snap, as they take care of web hosting and server considerations. Rather than throw a list of features at you to convince you to purchase their product, the SnapPages team has chosen to focus on what users want and need, to make this the best website builder editing experience on the market. As a user, you’re able to store your website and design files in the cloud. There’s a special app for blogging that features spam filtering for comments, so you can spend less time monitoring. The drag-and-drop HTML5 editor is optimized for touchscreen use, so you can use it in your tablet right in the browser. Social plugins are provided; plus, you’ll get even more for your money. Webflow gives designers the ability to develop responsive websites visually — without writing a single of code. And unlike similar tools, you’re not bound into using pre-made templates. Instead, you can start from a blank canvas and build exactly what you’re envisioning. Even better, you can create a totally custom database for every website you build using Webflow’s CMS — again, without writing code. So you can design around your client’s or company’s content, so your design decisions are driven by real data. If you’re a freelancer, you can build and launch a site without the need to subcontract a developer, so you’re always in control of the design process. And if you’re an in-house designer, you can use Webflow to build high-fidelity, fully functional prototypes to hand over to developers, run user testing, and even launch landing landing pages. Webflow’s also free to try, and there’s no trial period to worry about. So give it a try, and see why over 500,000 other designers have made it their go-to tool for web and product design. Whether you’re a creative pro, a business owner, or simply someone who wants a website to suit your own needs, Pixpa was developed with you in mind. With Pixpa, you can create and manage your website, e-commerce store or your blog through a single, seamless, platform. With a great selection of professionally-designed, customizable themes, Pixpa’s do-it-yourself, drag-and-drop, website builder enables you to build a beautiful, engaging, and professional-looking website in no time at all. If selling online is your objective, Pixpa has just the right mix of tools and resources to make building an e-commerce website and growing your business a snap. Pixpa’s cost-effective pricing plans that also takes into account your hosting and bandwidth needs. 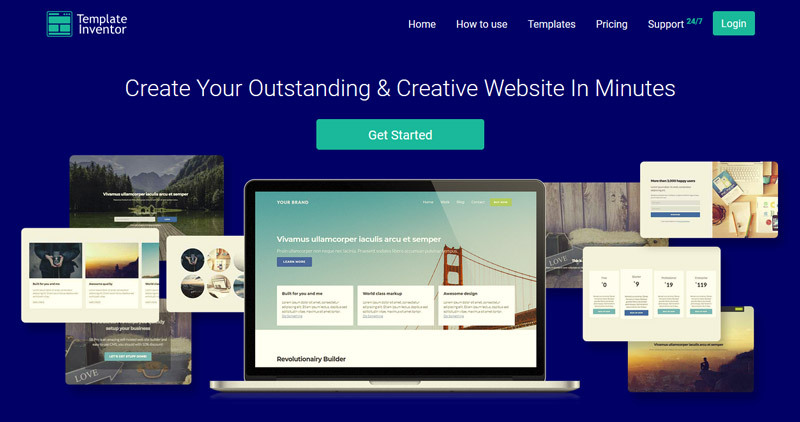 No coding or special technical skills are needed to produce attention-getting, engaging websites if you’ve added Themify Builder to your designer’s tool kit. You can drag and drop your way to converting your ideas into digital realities, and preview in real time what’s happening as you proceed. You can, if you choose, use the Builder within the Themify framework, or use it as a plugin with a third-party theme. Simbla is based on Bootstrap, the popular open source software solution that allows you to build websites that are responsive, and are not browser dependent. Simbla is an especially smart choice when building mobile-first websites is a priority. This platform, with its excellent collection of design, development, and SEO tools, is an ideal choice for businesses and startups. Let Artificial Intelligence create your perfect website at Bookmark. Be prepared to be amazed at what this AI-based design platform can do for you. AI-generated facts and figures enable Bookmark to zero in on your needs, making your website as close to perfect as possible.Watch the demo to view Bookmark ADI capabilities. uCoz is a good choice if you want to make website building easy, and let the software platform do much of the work. To achieve exactly what you want, and have total control over your design however, it sometimes pays to get under the hood and do some necessary code editing. uCoz lets you do that precisely. Whichever category you fit into, give this feature-rich, flexible website building tool a look. You’ll get real value for your money. uKit has something for everyone, including hundreds of designer-made templates, with each design consisting not only of themed images, but with high-quality, industry-specific texts as well. Everything is drag and drop, with no coding or special technical skills required. Built-in promotional tools that enable you to analyze your website’s performance provide an added plus. Use them to indicate if you are ready to go online. SITE123 is a website-building tool anyone can use. Whether you’re a design pro, a singer, a plumber, a freelancer, or a blogger, you can have a website up and running as easy as 1-2-3. No coding or special skills are required, and you’ll have a nice selection of ready-made styles and layouts at your fingertips. All that’s required of you is to enter your own content. Best of all – SITE123 is absolutely free! Some web design platforms advertise mobile friendliness as a feature. With Simvoly, mobile friendliness is front and center; along with ease of use and stunning design. Simvoly can be the ideal solution if your objective is to build an online store, a blog, or a presentation website, and you can be assured it will be fast, beautiful and mobile friendly. Sign up for a free trial. Live chat is available should you have any questions. These best tools and platforms have several things in common. They let you get a website up and running and online quickly. They require no coding or special technical skills to work with. And, they all make it possible for you to deliver high-performing, high-quality websites that perform superbly on any device. If you feel the need to edit some code to achieve near-perfection in your design, there’s even a tool here that lets you do just that.